Let’s face it, a lot of the DIY stuff getting passed around Pinterest and the internet in general isn’t exactly manly. Look, I like to create things and get my hands dirty a little bit, but I’m not about to show off some bracelet I made to my buddies. 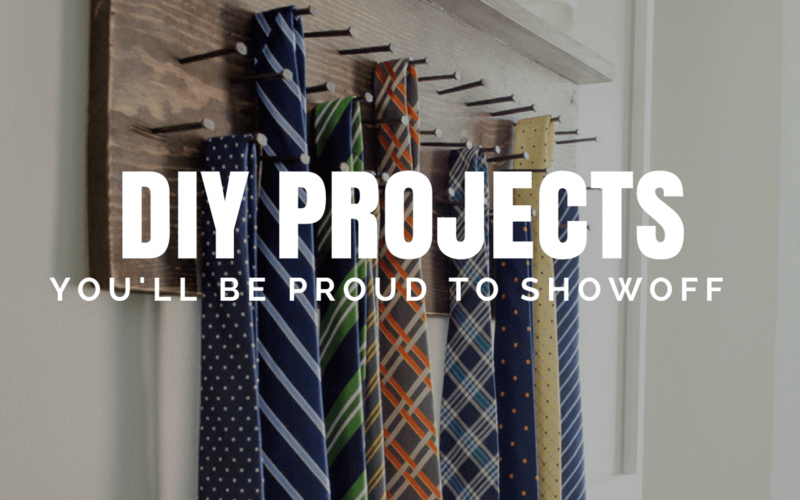 So we scoured the interwebs for DIY projects for guys that still have a cool factor – stuff you’ll be able to brag about and actually put to use in everyday life. Without any further ado, let’s dive into the list. This tie rack actually uses rustic wood and nails – super easy to build yourself but it will be the envy of all of your friends. Check out Craftahollics Anonymous to get the step-by-step. This comes from Michelle at Remodelholic, and is the perfect blend of simplicity and style. When your friends come over and ask where you bought your welcome mat, you can just tell them you built it. It just doesn’t get any easier than this. When the bottle of Jack is empty, just fill it with soap and install a pump handle. Great for a bathroom in the man cave. This comes from Make My Humble Abode and would look pretty amazing in your home office. Click here to see how to make one for yourself. Most people never notice the address numbers on the outside of your house, but they will now. 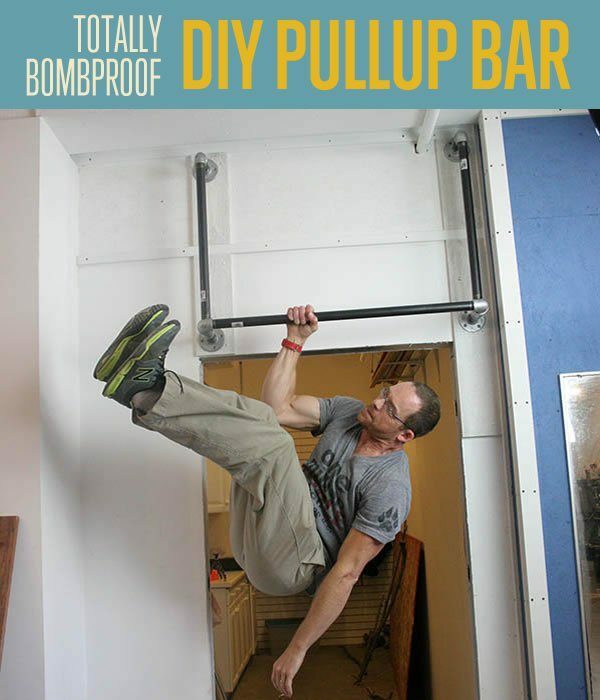 Check out the DIY from The DIY Playbook. This one comes from Shanty2Chic and when you’re entertaining some friends at the house and serving drinks, food, etc. it’s a pretty cool and simple project you can create for yourself. Check it out here. Alright, so you probably won’t be showing your beard balm off to your friends, but we could hardly make a list without this. It’s simple to make, check it out at Heartful Habits. 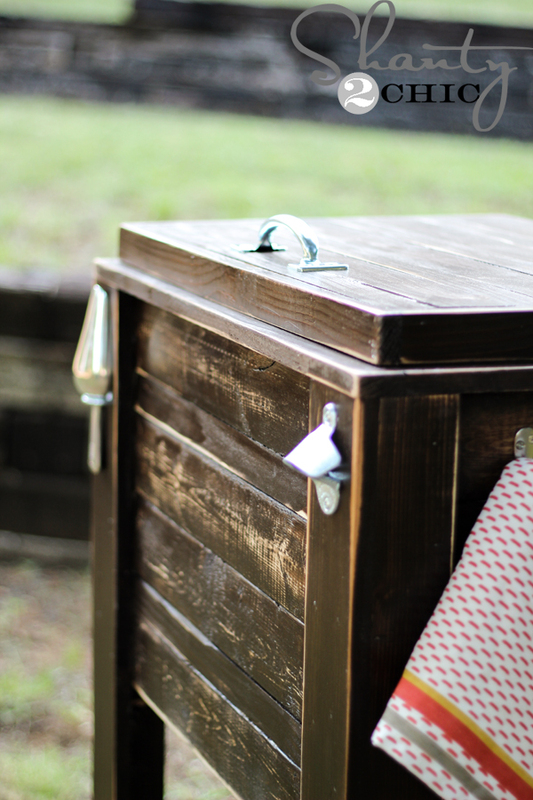 Picture this: your friends and family are over for a barbecue and you’ve got this amazing wooden cooler box keeping all the drinks cold. Everyone assumes you paid top dollar and asks where you bought it, but you get to tell them you built it. Get the plans from Shanty2Chic. 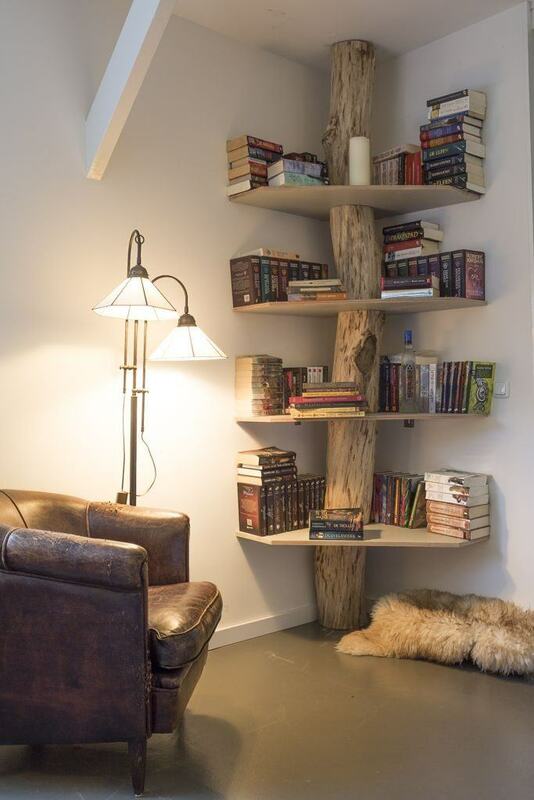 If you’re feeling like Paul Bunyan, then check out this tutorial about how to make a corner bookshelf with a tree trunk to support it. Learn more here. 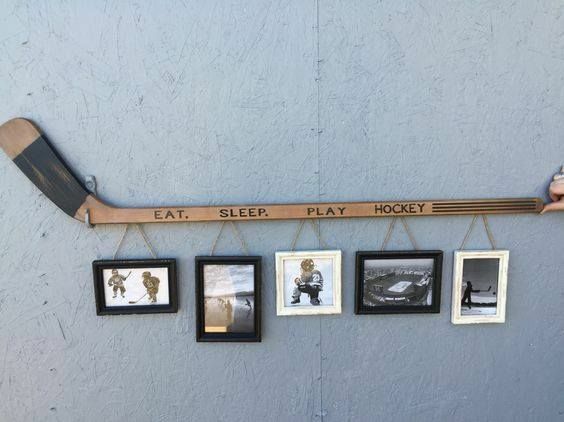 This one is super simple and would be perfect in a hockey-themed man cave or a kids room to hold pictures or even old game tickets. 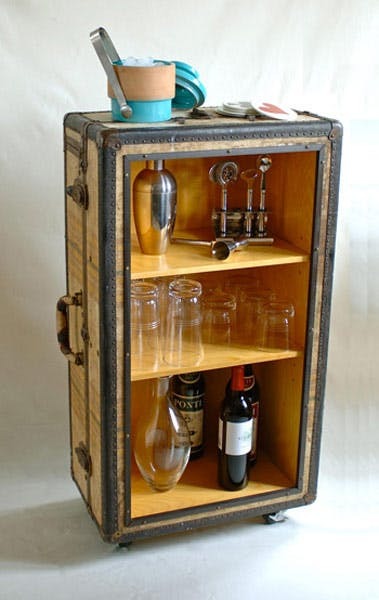 This rolling suitcase bar project from Apartment Therapy will leave your guests in awe of your DIY genius.